Canton MI – The Canton Dryer Vent Cleaning Wizard is urging consumers to have regular dryer vent inspections to save energy and prevent dryer fires. Laundry appliances are among the top energy consumers in most American homes. Whether gas or electric, a clothes dryer requires proper airflow to function safely and efficiently. Larry Butterfield, owner of Dryer Vent Wizard, specializes in dryer vent installation and maintenance while eliminating fire hazards in his neighborhood by encouraging public awareness. In addition to preventing dryer fires, dryer vent cleaning can reduce energy consumption by $300 per year, per household. For many years the Wizard’s main focus was regularly scheduled dryer vent cleaning to prevent dryer fires. 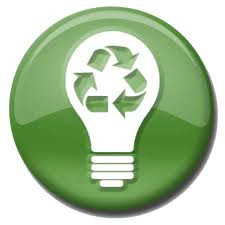 Due to rising energy costs local dryer vent service technicians have expanded their focus to promoting green ideas to save energy. Home safety and energy savings are popular topics of discussion with more consumers becoming aware of the need to preserve the environment. Dryer Vent Wizard (http://waynecountymi.dryerventcleaningnow.com/) will perform a complete inspection, including an airflow analysis to show the customer the improved results after service. The Wizard can clean, repair or replace a faulty dryer vent system to increase airflow and improve dryer performance.